Weather during most of the year remains temperate here. 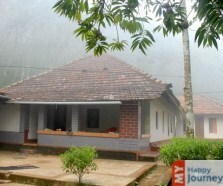 A mixed climate is experienced in the city as the winters are not too cold nor are the summers too hot; therefore a trip to Bekal can be planned in any month and visitors can enjoy visiting various tourist spots. Well known for its beauty, tourists from all over the world mark a visit to this place. 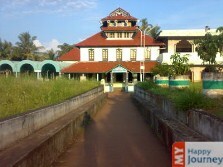 Bekal is famous for its traditional hospitality that is offered to the visitors and is regarded as an excellent place to visit in vacations, as a person can enjoy in the lap of nature. 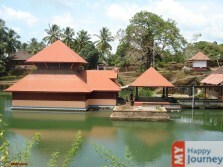 The tourism department of Kerala gives great importance to Bekal because it is considered as a destination that is visited by a large number of tourists. The city of Bekal offers many attractions to attract visitors and some of the attractions are the Bekal Fort and Chandragiri fort. These forts offer a glimpse of the architecture of 17th century and also of the glorious past of the city. 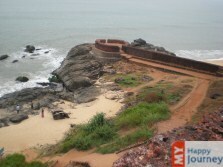 Other attractions are Bekal Fort Beach and Houseboat Cruise. Travelers can enjoy at the beach with their families or friends and can also indulge in cruising. Tourists can also savor the taste of Payasam, which is available locally.